Kyung Eun Davidson’s earliest memories are of missing her birth mother. 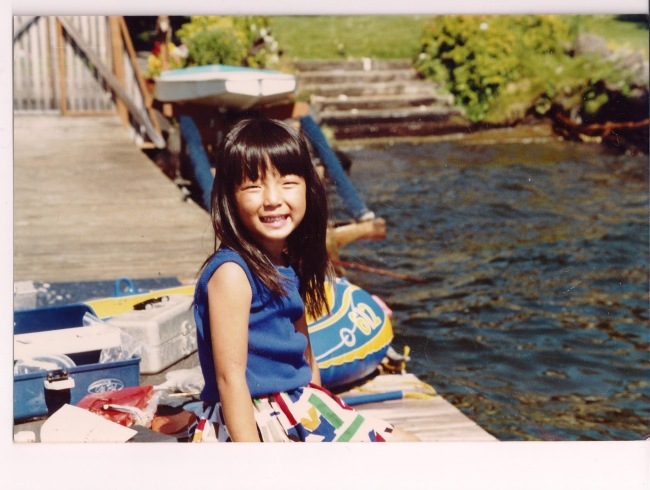 Born in 1983 in South Korea, she grew up in Oregon after being adopted by a couple in the U.S. in 1986. Ever since she was 3, Davidson would constantly daydream about her birth mother throughout her childhood. “I remember wishing every night she would come back,” the 33-year-old, who currently lives in Everett, Washington, told The Korea Herald. About 30 years after she left Korea, Davidson was surprised to learn earlier this month that she had finally located her birth mother. On Aug. 3, on a whim, she transferred her DNA information to a free third-party website called GEDmatch where DNA information collected from Korean birth families is shared by a group of Korean adoptees. She had obtained her DNA information two years ago and kept it in a different database. “By the next morning I saw that I had a very close match and within 48 hours I was talking to my mother on KakaoTalk,” she said. 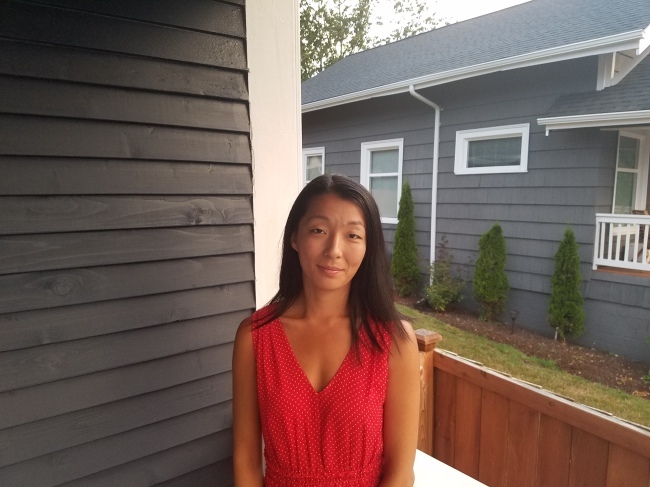 Davidson is the first Korean adoptee to have found her birth mother through the DNA matching service provided by 325Kamra, a nonprofit group comprised mainly of mixed-race Korean adoptees in the U.S. The testing was launched earlier this year to help Korean adoptees learn more about their heritage as well as to help those with positive DNA matches to potentially reunite. In April, the organization brought 300 DNA kits to Korea, one of which was given to Davidson’s birth mother. After just about three months since her mother’s DNA was collected and uploaded on GEDmatch, they were able to find each other. “It’s been an amazing, crazy and wonderful experience,” she said. “The fact that Kyung Eun didn’t have to do anything other than provide her sample, as did her mom, shows how effective our methodology is,” said Bella L. Siegel-Dalton, a representative of 325Kamra. South Korea remains one of the largest sources of overseas adoptees in the world, having sent about 200,000 children abroad over the past six decades. Ever since the nation’s adoption law was revised in 2012, guaranteeing an adoptee’s right to request his or her birth records, those asking for their personal files to find their birth families have increased dramatically. While 258 adoptees asked to see their information in 2012, 1,324 did so last year. However, only 14.7 percent of some 4,790 adoptees who requested their files between 2012 and 2015 were able to reunite with their families, according to data released by Rep. Lee Jong-kul of the Minjoo Party of Korea. One of the biggest reasons behind this is the mass forgery of documents in the 1970s and ’80s in Korea -- children’s identities were falsified before they were sent overseas for adoption. Many adoptees acquire their birth records only to find out information in them is incorrect. A lot of them are also told lies or turned away when they ask for information at adoption agencies, although the Korean law currently guarantees their right to access their files. For adoptees born in the ’50s and ’60s whose birth parents have reached old age, their time is running out. Since 2012, the South Korean government has been offering assistance to adoptees in their search for their birth family. But Siegel-Dalton from 325Kamra said the service has been extremely ineffective. “The program is understaffed and relies on paperwork and files that are often incorrect,” she told The Korea Herald. Davidson in fact stayed in Korea from 2005-2007 to find her birth mother. But when she visited her adoption agency, Holt, the staff said they couldn't give her information about her mother without her birth father’s consent. Davidson did reunite with her birth father, who gave her up for adoption when she was 3, but after their first meeting in 2007 he soon disappeared without telling her anything about her mother’s whereabouts. Devastated, Davidson returned to the U.S. that year, feeling like there was nothing left for her in Korea. “I grew up wondering what was so wrong with me that my own parents didn’t want me. It felt like confirmation that there was something about me that was unlovable,” she said, when asked about how she felt about her father walking away. “It wasn’t just my father I lost, but also any hope of finding my mother,” she said. Earlier this month Davidson realized once again that Holt had lied to her about how she was given up for adoption. But in 2007 her father told her a different account. This month, Davidson learned her birth mother never agreed to put her up for adoption. “My mother told me she did not know I had been given up for adoption until eight years ago,” she said. Lee Eun-soo (not her real name), Davidson’s birth mother, thought for more than 20 years that her daughter was being raised by her father or his family. She raised Davidson alone for the first three years of her daughter’s life, and decided to have her raised by her father whom she thought was more financially capable of supporting her. It was in 2008 that Lee found out her daughter was never registered in the father’s family registry. When she asked for an explanation and demanded to see her daughter, Davidson’s father confessed that he had given her up for adoption in the ’80s. Shocked, Lee visited Holt that year, but the agency did not tell her that Davidson had lived in Korea from 2005-2007, and that she had visited the agency to search for her too. Lawyer So Ra-mi from Gonggam Public Interest Lawyers said all birth parents should be able to access their children’s records, especially if they were put up for adoption without their consent. The current Special Adoption Law does not state anything on birth parents’ right to request to see their children’s adoption files as well as to get in touch with them. While this does not mean birth parents have no legal grounds to access the records, So said a revised version of the law could specifically guarantee birth parents’ right to information on their children’s adoption. The bill is to be submitted for review to the National Assembly by the end of this year. Katherine Kim Bradtke, another representative of 325Kamra, said DNA testing is what bypasses the dependency on adoption agencies for information. “It completely circumvents the nonsense that agencies give to birth families and adoptees,” she said. The South Korean government -- not a nongovernmental organization -- should set up a central DNA bank and take full responsibility for having “endorsed, institutionalized and legitimized the adoption of 200,000 Koreans to the West,” said Tobias Hubinette, a Korean adoptee and associate professor of intercultural studies at Karlstad University in Sweden. The Korean government should also encourage adoptees as well as their birth parents and relatives to register and take DNA tests, he added. “If any country has an experience with broken and separated families, it is South Korea after decades of national division, mass overseas emigration and mass internal migration with hundreds of thousands of people searching for missing relatives,” said Hubinette, who is also a member of Truth and Reconciliation for the Adoption Community of Korea. Hosu Kim, an assistant professor of sociology at the City University of New York, as well as lawyer So Ra-mi, said the DNA information of Korean adoptees and their birth families should be archived and protected by a state-run agency. The state-run Korean Adoption Services currently has a pop-up page on their website that offers information on 325Kamra’s free DNA testing service for Korean birth families. Still, 325Kamra has only managed to collect some 100 DNA test kits from Korea. They brought 300 kits from the U.S. in April, but there are still many left unused at KoRoot, a guesthouse in Seoul where birth families can take the tests for free. Bradtke said more promotion is needed to get birth families tested. “We are aware that some suggestions have been made on DNA testing for adoptees and birth families and that the government should be doing more or even be in charge of the matching service,” said Kim Moon-jeong from the KAS, the Korean government agency that is in charge of adoption policies and birth family searches. Regardless, Bradtke encouraged all Korean adoptees who have already tested their DNA to upload their information on GEDmatch. She stressed anyone can use the site regardless of what DNA kit they used -- such as 23andme, FTDNA and ancestry.com -- and this can help them reunite with their birth families. Davidson and her mother also used different kits -- she used a 23andme kit two years ago, while her mother used a FTDNA kit provided by 325Kamra -- but the site still managed to notice they were a match, she said. Davidson said the constant upheaval in her childhood made it difficult for her to form lasting attachments with people. When she arrived in the U.S., she had scabies, lice and chickenpox which she developed during her days in an orphanage while waiting for her adoption. Even as a 3-year-old, losing her family and leaving her home country at the same time was a painful experience, she said. Davidson said she had Korean mannerisms and habits that were ingrained in her even from that short period in her life. When she arrived in the U.S., she refused to sleep on her bed for a while and insisted she wanted to sleep on the floor -- the way she used to in Korea. She said finding her birth mother lessened the impact of her birth father walking away. Davidson and her mother are currently planning to meet in person.